Raise your hand if you are oh-so-ready for some warmer weather! (Here I am, hand in the sky!) Robin Williams, one of my all-time fave actors, said “Spring is natures way of saying, ‘Let’s party! '” And I totally agree! Not only are the temps getting higher, but the colors… they’re so beautiful in the springtime! From flowers to Easter dresses, I love the sweet pinks, purples, and blues of the spring months. And finding gorgeous spring art that’s affordable? Yes, please! 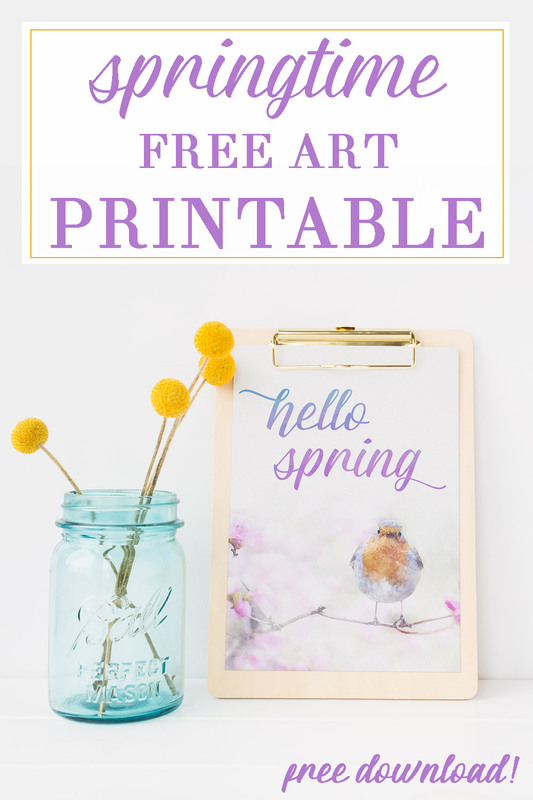 Keep on reading to learn more about this free spring art printable! 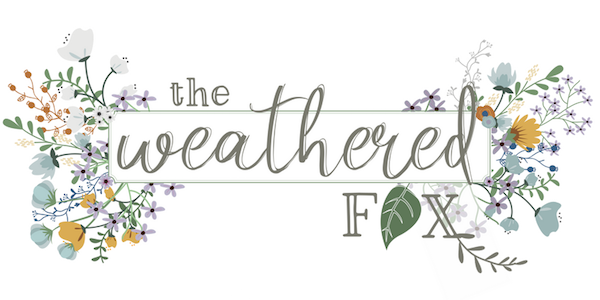 Hey, hey Weathered Fox readers! My name’s Cynthia, and I’m the DIY loving mama behind the blog Home Beautifully. Over at Home Beautifully, we love about empowering super busy women with easy DIY projects to create beautiful and organized homes. Sounds good, right? With all that in mind, pretty art prints are right up our ally. 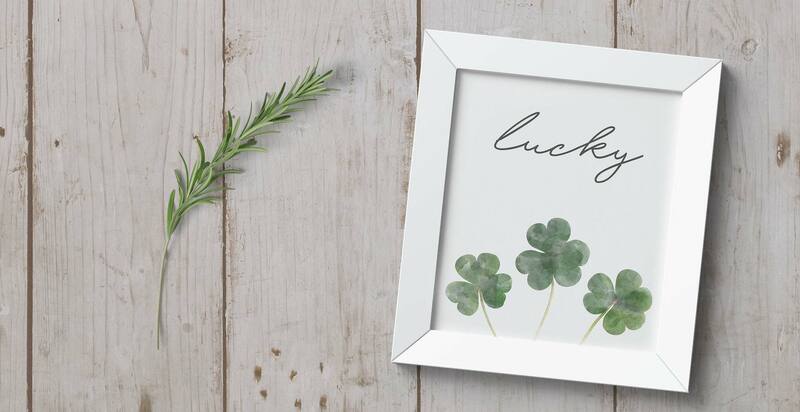 (This lucky St. Patricks Day Art print for example? So perfect for adding a splash of green this March!) 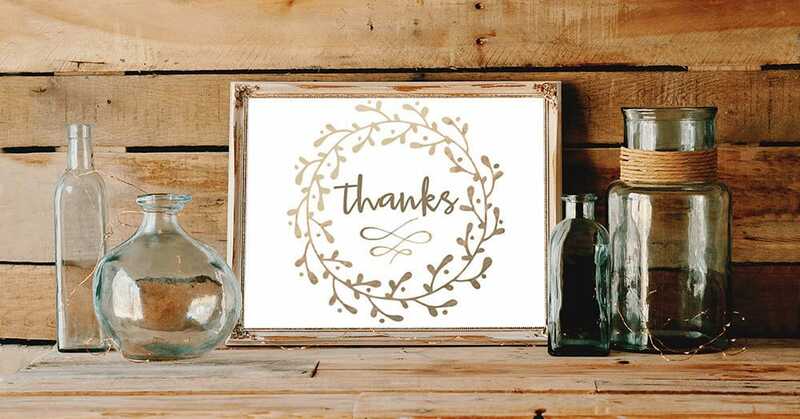 Yep, I love printable art! And this free spring art print? So charming! I remember as a little girl, lying in my bed in the morning, not wanting to start the day. So, I’d lay there, all snuggled and warm and listen to the birds chirp outside my window. Even then, I found their sing song so charming! And isn’t it such a lovely sight spotting the first songbirds in the spring?! It’s so nice to see the birds chirping in the trees as the cold winter fades into a beautiful, blossoming spring. This gorgeous spring art is a digital watercolor. It’s sized as an 8 by 10. You can either print it at home on a color printer or send it off to a local pharmacy (or Target! How I love Target!) to print as a photo for a few dollars. Easy! This printable is free for all email subscribers as part of our subscriber perks. To get a copy of your free printable, click on the image below and enter your email. We’ll send access to the printable right to your email. 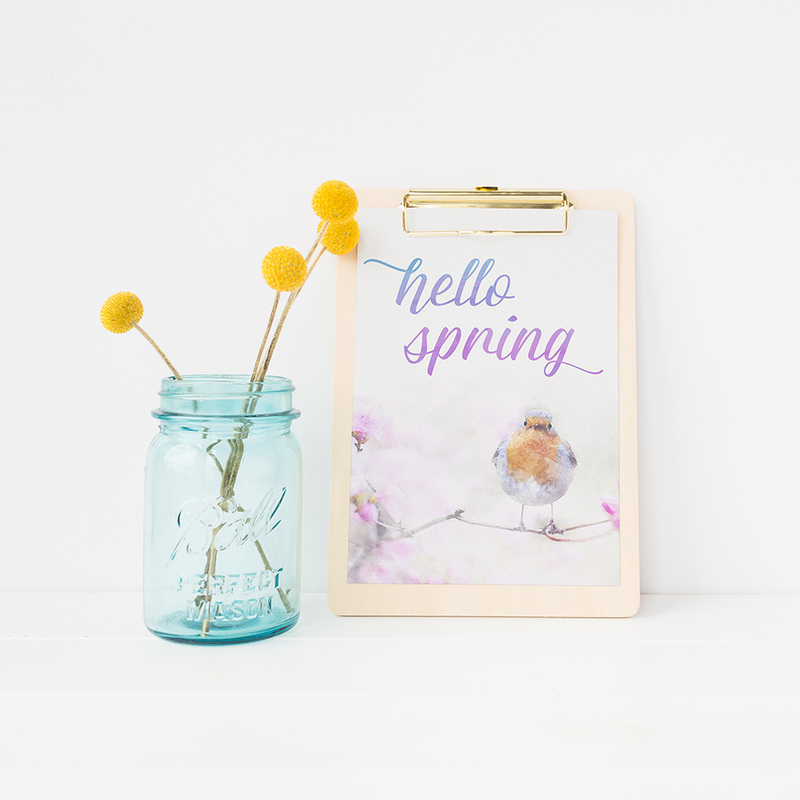 To frame your print, pop it into a cute, spring frame, like these below. I’ll include them below with affiliate links. Thanks so much for checking out this watercolor spring art print! I hope you love it as much as I do. 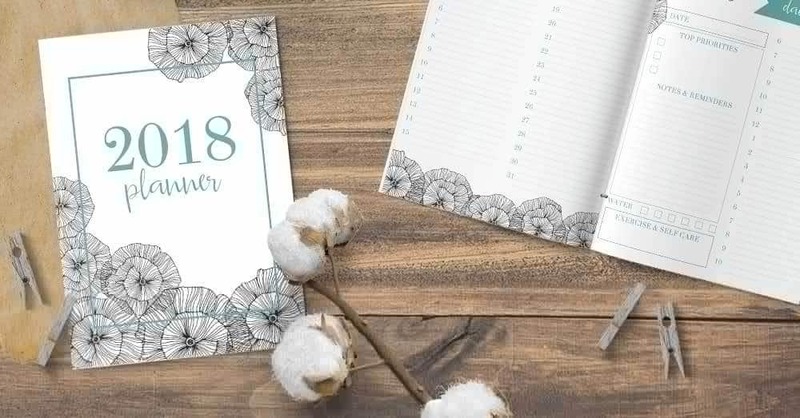 Pop a comment below with ideas for other seasonal prints you may have. And let us know how you style it in your home!